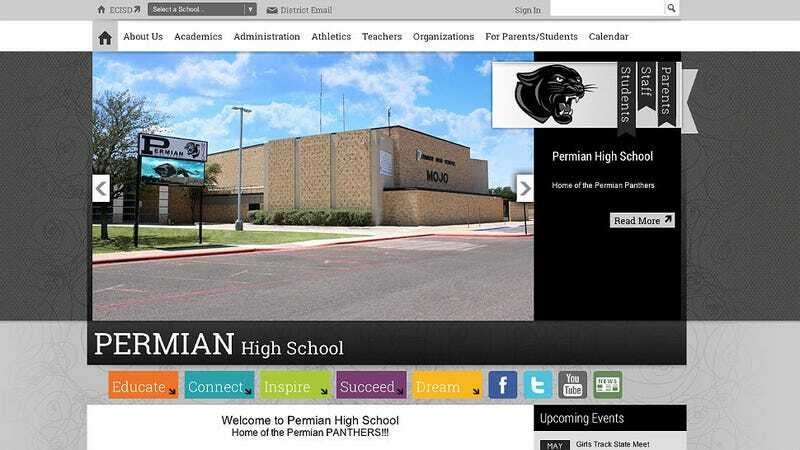 Something strange is going on at Permian High School in Odessa, Texas — numerous teachers are resigning surrounding alleged inappropriate relationships with their students. One educator even took his own life. Permian is already famous for being the inspiration behind the Friday Night Lights book, film and TV series, but their legacy is changing. On Wednesday Mark Lampman, a government teacher and assistant girls golf coach, was found dead in an open field from a self-inflicted gunshot wound. Lampman recently resigned from his Permian post after allegations surfaced that he’d had a sexual relationship with a student, according to the Daily News. The 47-year-old was the fifth Permian teacher to be investigated and resign for sexual impropriety with a student. Last week 25-year-old assistant softball coach Alisha Carrasco Knighten resigned following rumors of an inappropriate student relationship. In April, another unnamed Permian staffer left for similar reasons. In 2013, Kathryn Maples and April Collins, both of whom were 28, resigned and were arrested in June for similar circumstances. Both were indicted on charges stemming from inappropriate student relationships. Collins was also charged with sexting and online solicitation of a student. The pair are awaiting trial, according to the Odessa American. “We support you, the board supports you. What you do, 99.9 percent are in it for the right reasons,” Crowe said. He said he wants the community to understand there is really good work by outstanding staff at ECISD and at Permian. Crowe did take a different tone in talking about the teachers who put ECISD in a bad light. In 2010, another Permian teacher resigned for an alleged inappropriate relationship with a student but was acquitted at trial.